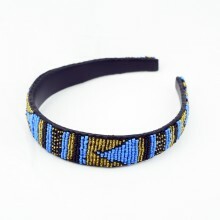 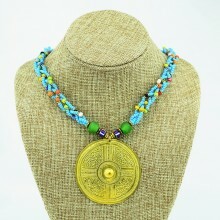 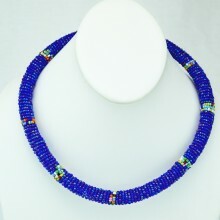 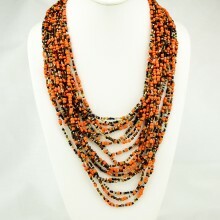 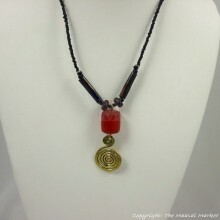 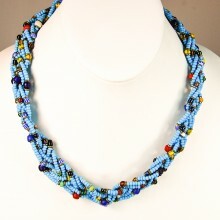 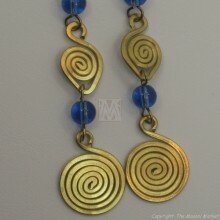 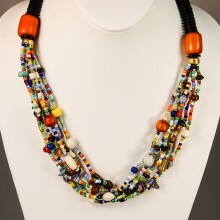 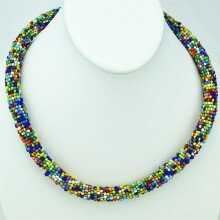 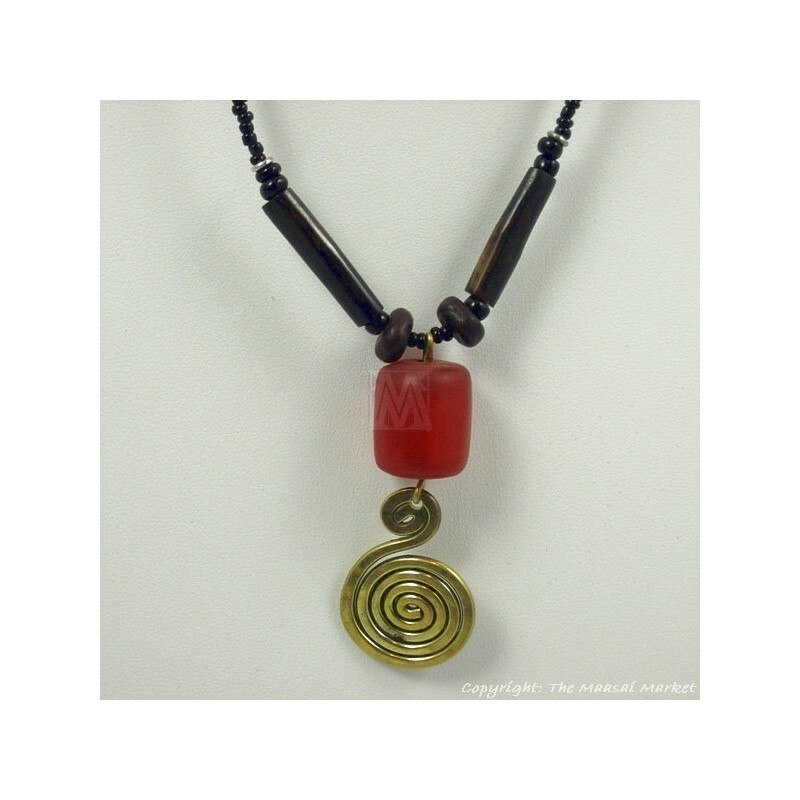 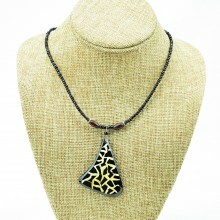 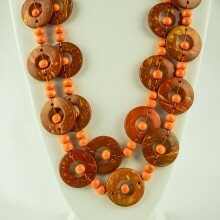 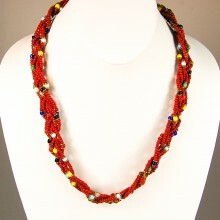 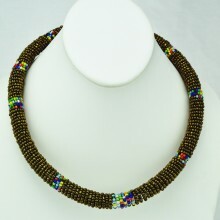 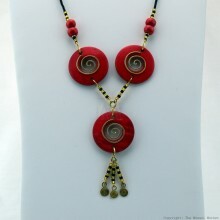 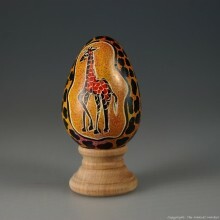 This vibrant handmade necklace is from Kenya/East Africa! 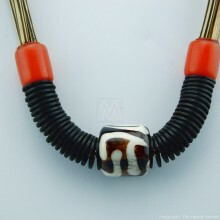 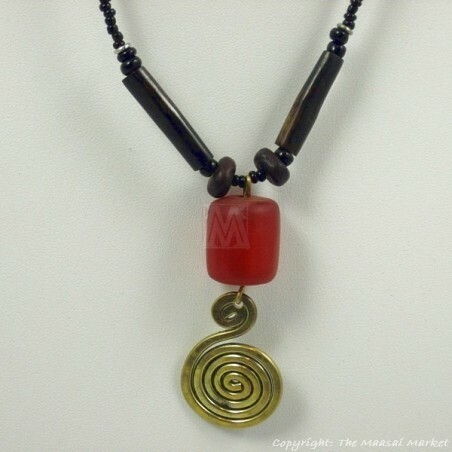 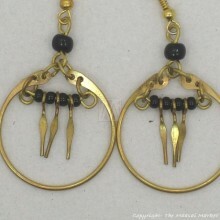 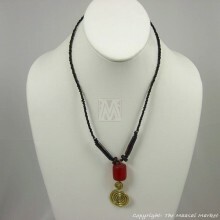 Its has a brass coil, 2 tube cow bone beads, Amber resin Bead, seeds and black Maasai beads. 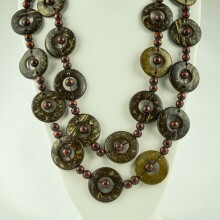 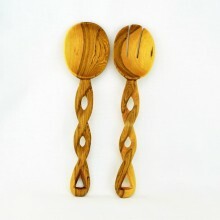 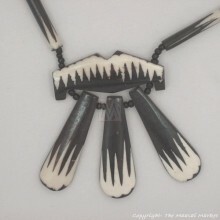 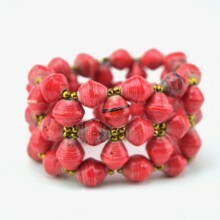 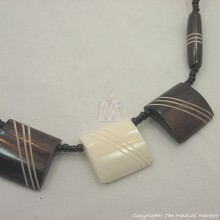 The cow bone beads are hand dyed grunge/ aged look. 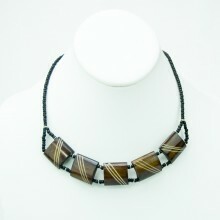 The necklace has a metal clasp to close. 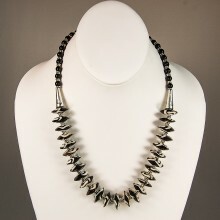 Size: Necklace is app. 21" long, Pendant (Amber bead and brass coil) app. 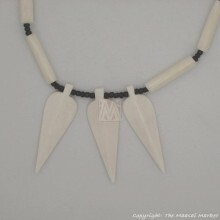 2", tube bone beads app.1"